HDFC AMC has launched an NFO with the name 'HDFC Gold Exchange Traded Fund'. This is yet another Gold ETF, apart from existing schemes like Gold Bees, Rel Gold etc which are already traded in NSE. The fund will invest in 90-100% of assets in Gold Bullion. The fund will be listed in NSE and can be easily bought and sold like any other stock on the exchange through terminals spread across the country. The minimum investment is Rs.5000/- and the NFO is open till Jul 23 2010. Can be bought/sold anytime during market hours at prices that are expected to be close to actual NAV of the scheme. Post-listing, the minimum purchase would be 1 unit . Can one invest in this NFO? Gold has been one of the biggest outperformers of most of the asset classes, recently and can be still considered for investing. Hence, investors who don't have exposure to Gold ETFs, can consider investing in this fund. There are many other Gold ETFs like Gold Bees, Rel Gold etc which are currently traded in NSE, which can also be considered for investments. One can go for existing Gold Bees also. Definitely gold can be invested as an insurance, may 5-10% of one's portfolio. 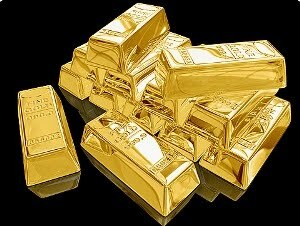 When will HDFC Gold ETF be listed ? @HDFC Gold ETF will be available for trading from next week.